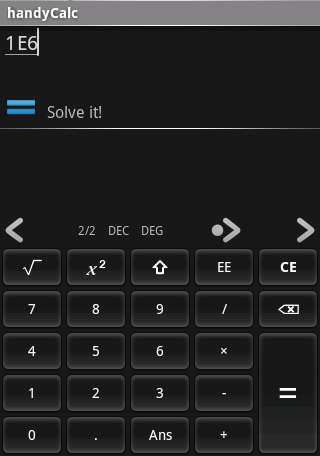 handyCalc | Solve things in your hand. Solve things in your hand. 1. support big screen with high resolution, such as Samsung Galaxy Note. 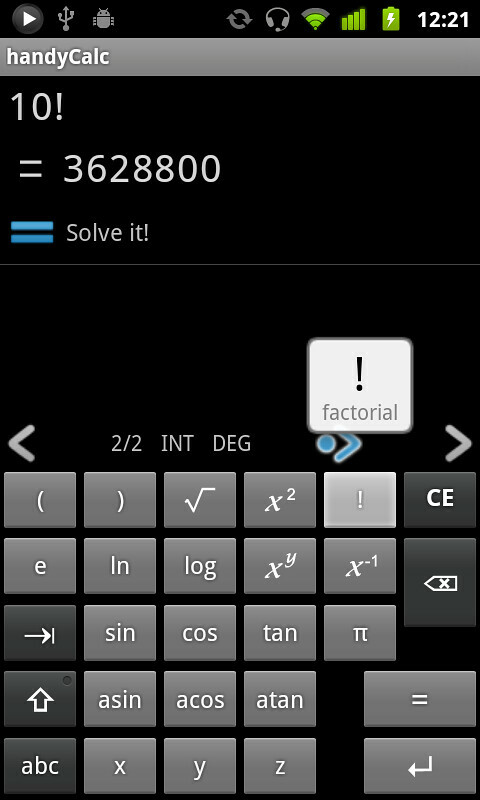 2. cubic and cubic root on keypad (press shift first). 3. engineering notation available in preferences. 4. copy answer in menu->edit. 5. improved bracket input. it is now more intelligent. 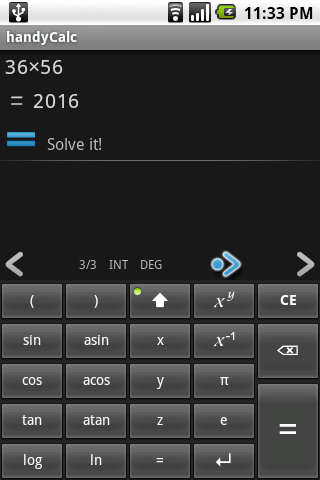 try to input “(1/2)” with no escape. the bracket will be closed. It’s just a bug fixed version. And it can run on Ice Cream Sandwich in emulator. So it should be ready for ICS. If you are running on Android Pad, and your keypad does not work, try Menu -> Preferences -> Force Portrait. quick fix version 0.51 is released, honeycomb users can now upgrade to this version. 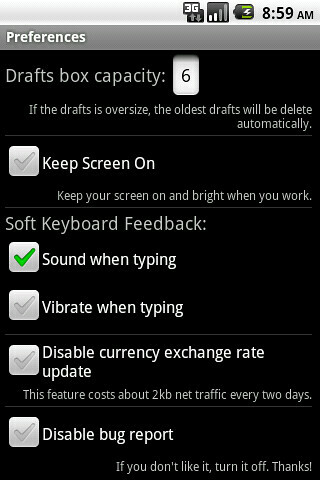 for those who have a Android 2.x pad like Dell Streak, if the keypad does not work, you can download v0.50. 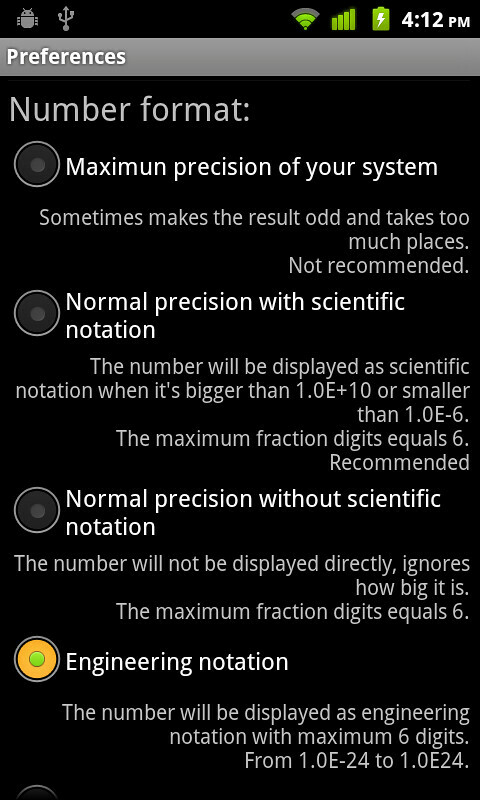 it’s the same feature as v0.51. with Honeycomb support in landscape mode. And a Keep Screen On option. You have to turn it on in preference manually if you want it. And there are some bug fix & performance improvements (which you may not feel). Anyway, hope you enjoy it. 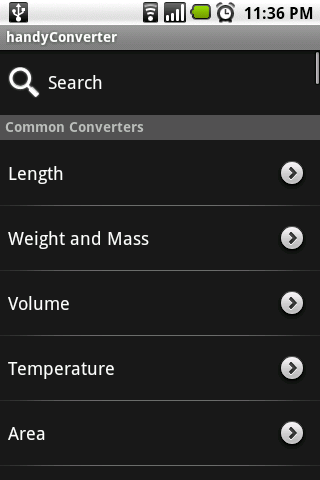 Upgrade two important components: unit converter & currency converter. Both support more data (600+ common units & 140+ currency) and implemented a powerful search function. 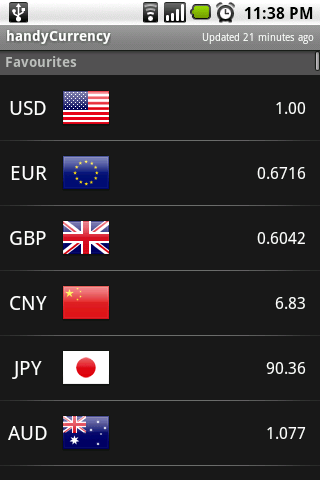 I also release the standalone version for them (if you like, search “handyConverter” and “handyCurrency” in Market). 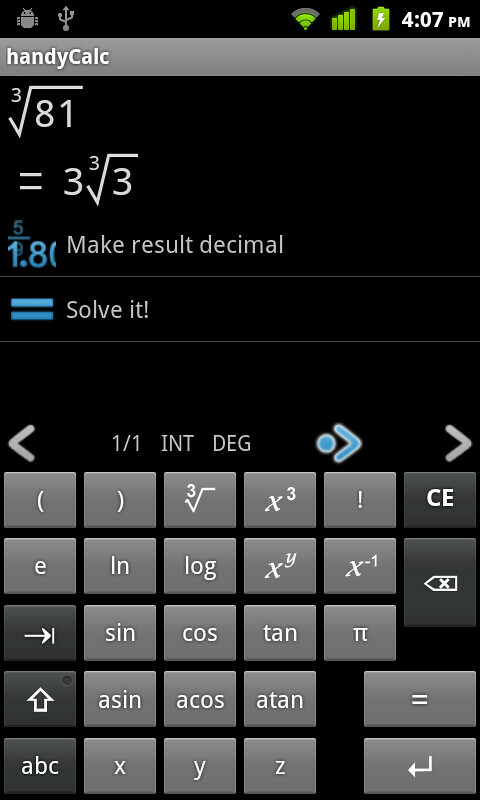 handyCalc 0.40 is the first version for the 0.4x. It does not has much improvements, but you can see a new on screen keyboard, which saves runtime memory and more easily for you to operate. I hope you like it. More improvements is under development and need more time to merge to the main project. And the performance will be optimized to reduce the startup time and improve the graph plot in the version 0.4x. 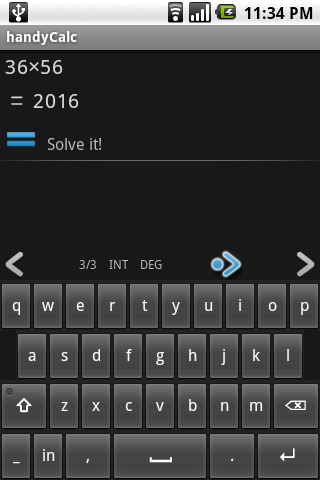 The keyboard issue in cupcake has been fixed in this version. Further cupcake support will come in the future version. 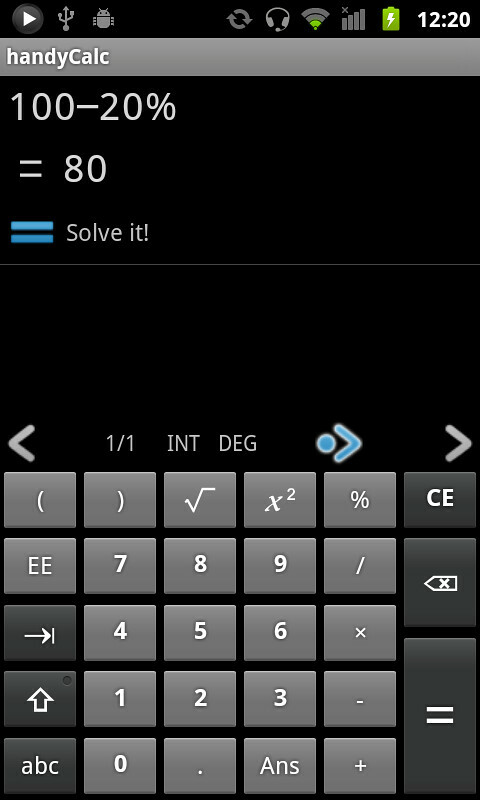 And the % button in the screen keypad has been removed. People always complain about 100-25% doesn’t equals 75%, while handyCalc take 25% as 0.25 (there is no data type for percentage in the core). The logic is confusing, so I do not recommend to use it. But you can still type % in your hardware keyboard to use it.